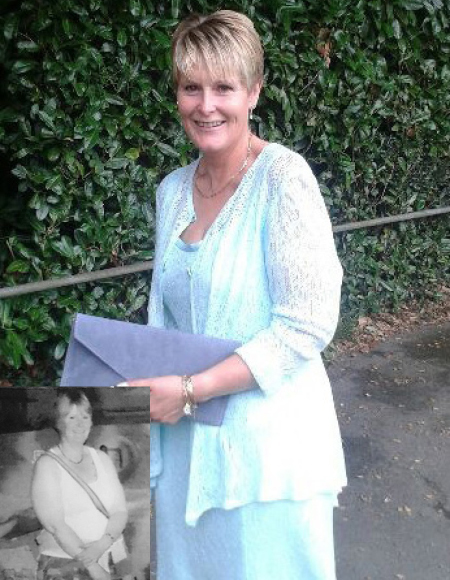 Hazel joined Nutracheck in February 2016, lost an incredible 5 stone70lbs31.7kg, and has been maintaining ever since. I have lost a total of 5 stone70lbs31.7kg and it took me 9 months in total. Back in February 2016 a card landed on the doormat... a wedding invitation! What on earth was I going to wear! I had eight months to lose 4 stone... time to give another diet a try... again. Thank goodness for the Internet. A quick search on calorie control soon brought up something called Nutracheck. After some further research, I was convinced that this was the one! My weight has always been an issue for me; I'm the original yo-yo dieter. I've tried the other well known plans and fads, but always found that as soon as I stopped following the plan the weight would just pile straight back on... plus a bit extra for good measure unfortunately. How easy was it to fit the changes you made into your lifestyle and what was the most difficult thing? I found the Nutracheck way really easy to fit into my very busy lifestyle, although I must admit that the most challenging thing was altering my portion size - this was where my own personal mantra came in "Weigh my food, not my fat backside!" I also had to remember to make the sensible choices... them chips looked good, but there was always a better choice on offer. Well the wedding day came in August, and I just made the 4 stone target the day before the wedding! I felt brilliant! For the first time in a long time I wasn't the fattest person in the room! The compliments made me feel even better, and the weight was still coming off easily! It's now November, and I've hit my final target; 5 stone gone, never to return and a BMI of 21.9 . I started this short journey as a size 22, and I've finished it as a 12, all done without stepping foot in a gym - just normal dog walking and daily life! Not bad in 9 months, and I've enjoyed every minute of it. My advice to others wanting to lose a sizeable amount of weight would be to set achievable targets; don't set huge ones that aren't attainable. Plan your meals out in advance, log down what you know you are going to eat (I always want cereals and fruit for supper so I log them early in the day) that way you know exactly how many calories you've got left to play with! Just be honest with yourself and the scales.... don't guess the weight of the food on your plate or the numbers on the bathroom scales.